We marched for climate justice, economic justice, social justice and peace! In September, world leaders gathered in New York City for a UN summit on the climate crisis. The UN Secretary General is urged governments to support an ambitious global agreement to dramatically reduce global warming pollution. With our future on the line and the whole world watching, we took a stand to bend the course of history. We took to the streets to demand the world we know is within our reach: a world with an economy that works for people and the planet; a world safe from the ravages of climate change; a world with good jobs, clean air and water, and healthy communities. 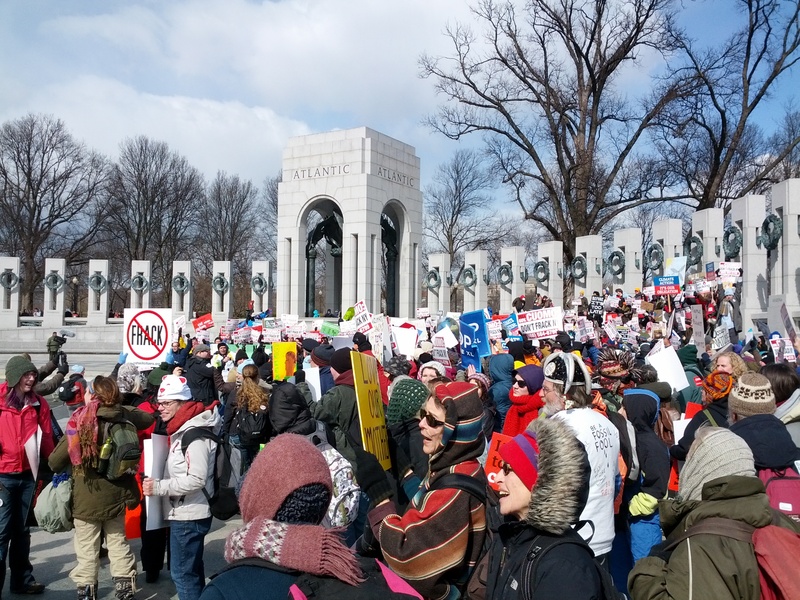 The Sierra Club, Niagara Group arranged for two busloads of Buffalo residents to attend the Washington DC Rally on February 17, 2013. A number of college students joined us, including a number of students from UB’s newly formed Environmental Fraternity and the Occupy Buffalo movement. Campaign organizers estimated that there were about 40,000-50,000 participants at the Rally. Speakers included Sierra Club National Executive Director, Michael Brune; Sen. Sheldon Whitehouse of Rhode Island, leaders of the Cree Indians from Canada, and Bill McKibbens of 350.org. Many topics were addressed, including the construction of the Keystone XL tar sands pipeline, which is being pushed by the governing Conservative party in Canada. Brune acknowledged the efforts of those spearheading the efforts to prevent hydrofracking for shale gas in New York State. Prior to the Rally, New York participants met at the WWII monument to create a video for Governor Cuomo urging a ban on hydrofracking and horizontal drilling for shale gas in New York State, and championing renewable energy.